Canis latrans, the coyote, has exploded across North America in the last 100 years, expanding north and east from its historic Southwestern range. 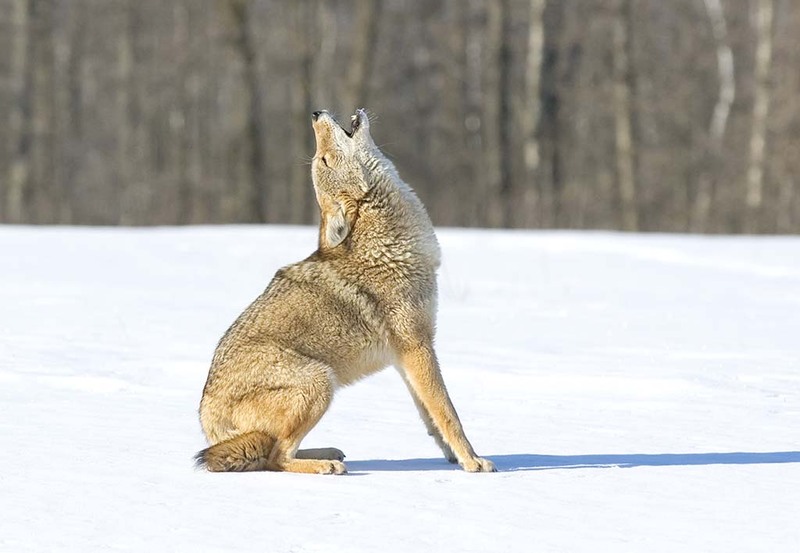 Of the 19 subspecies of coyotes, most separated along geographical lines, the Eastern “yote” is by far the largest, regularly growing in excess of 50 pounds. It’s believed that after wolves were cleared out of the American West, and humans moved in developing abundant “edge” habitat, coyotes pushed their range from the southwest until they intermingled with grey wolf populations in Ontario, Canada. The result of that cross was the Eastern coyote. In the last 10 years, coyote numbers have skyrocketed, with some packs expanding into densely urban and suburban areas—including Chicago and New York. Coyotes can be hunted in any state in the union. Most have no bag limits and no closed season. Many allow nighttime hunting. Coyotes are primarily hunted in one of two ways: run with hounds or called in. When dogs are used, the hunter often has to make a shot at a running coyote, as they don’t tree and rarely square off against the dogs. In call scenarios, hunters will make coyote or small game distress sounds—like a cottontail squeal—in hopes of bringing them into shooting range. This is especially effective at night, as coyotes are primarily nocturnal. Hunters will attach red lights to their guns, as the yotes can’t see along that color spectrum, or in some cases use night-vision equipment. A modern sporting rifle, like an AR-15, is highly effective when coyote hunting.